With faster, intelligent, multi-core technology that applies processing power where it's needed most, Intel Core i7 processors deliver an incredible breakthrough in PC performance. They are the best desktop processors on the planet. You'll multitask applications faster and unleash incredible digital media creation. And you'll experience maximum performance for everything you do. Replaced i3-2350M with i7-2760QM, and mechanical hard drive with a SSD. Now my Dell N7110 laptop is crazy fast. Make sure you do enough research online before you purchase any part and open the laptop. Upgraded from a i5-2520QM to twice the cache and threads on this i7-2760QM. It's doing the job and also system benches much better. Notice in real world apps is also clearly evident. I'd recommend the max upgrade to any Lenovo Laptop user. ...though silicon thermal pads and copper shims were needed for it to work with my Dell e6420. Fresh thermal paste wasn't enough to keep it from an overheat shutdown. But it works great with the pads and shims installed, even while rendering video. 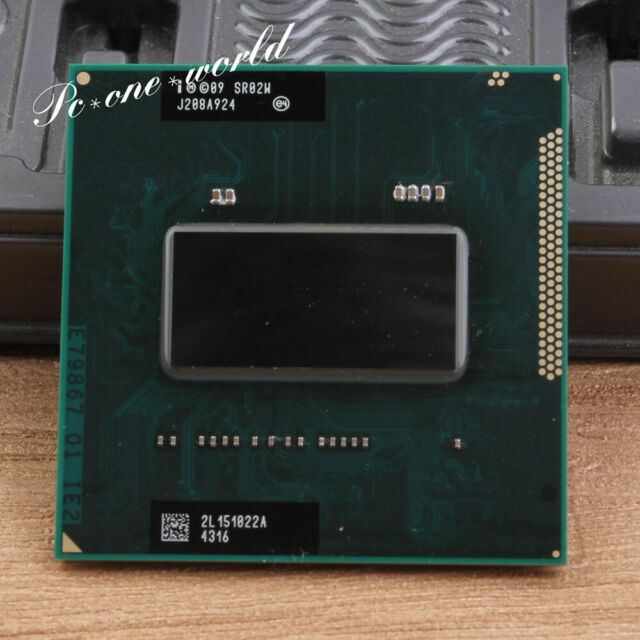 Used this CPU to upgrade an old Acer Laptop.